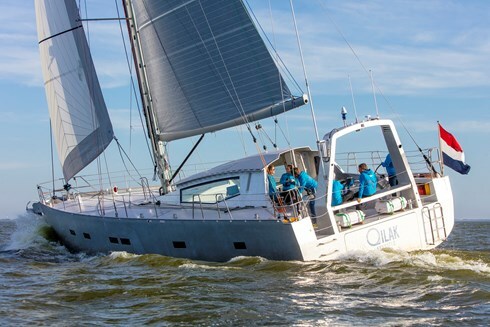 The Owen Clarke custom designed 66’ aluminum blue water cruising yacht Qilak was launched this week at the K and M Yacht-Builders yard in Makkum, Holland. Purposeful, 'half yacht and half working boat', aptly described as a Land Rover Defender on the outside and a Range Rover on the inside. Qilak has been built for commercial charter as well as private use and as such has been designed and built to code. She represents an exciting departure for our office, building on our background of designing as well as sailing performant and reliable offshore racing yachts for short-handed sailors. 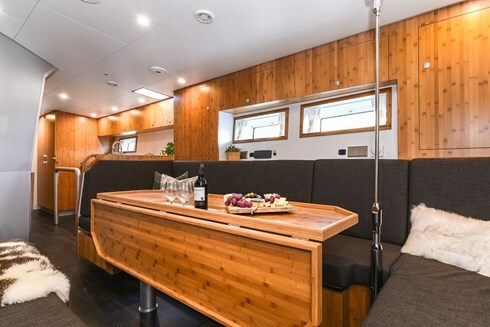 The project goal was to create a commercial charter yacht capable of being sailed by a crew of three, working in the northern hemisphere April to October and then transiting quickly to Antarctica for the southern Summer season. Refits will be undertaken between the charter seasons and this requires the yacht to be also a fast, reliable passage maker while at the same time capable of over-wintering in high latitudes and/or laying up in port in remote parts of the world.